Which teeth are you going to replace? How are the saddles going to relate to existing teeth? This isn’t strictly part of the system, but it’s needed in order to determine the rest of the design. When the model is cast up for your patient, this then needs to be placed on a model surveyor. The surveyor has a vertical arm that comes down and contacts the model. This process will be covered in more detail in another post. Various instruments are used with the surveyor including a lead marker and analysing rod. The aim is to analyse the model in the horizontal plane, and alternative planes, to identify undercuts for your denture to use and the path of insertion. The path of insertion is the path taken by the denture from first tooth contact until it is fully seated. Rests can be occlusal, cingulum or incisal. The state of the abutment tooth has to be considered first to see what force it can tolerate. Rests also provide a number of other functions including indirect retention, positioning the denture correctly and distribution of load. Clasps provide direct retention and prevent this displacement. Only the final third of the clasp engages the undercut. When something like a clasp is placed around a tooth, during disengagement from the undercut, the clasp will apply a lateral force on the tooth. Over time, this will cause the tooth to tip and weaken. 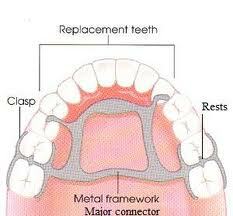 Therefore, something is needed on the opposite side of the tooth the reciprocate this force i.e. a bar or a plate. So reciprocation is balancing the sideways force on a tooth. The reciprocating plate must be in contact with the tooth in order to function properly. Demonstration of reciprocation – the reciprocating plate is on the right and remains in contact with the tooth when the clasp (left) disengages from the undercut. Bracing is preventing sideways and anteroposterior movement of the denture. Often this occurs automatically through the extension of the denture itself. Bracing can become difficult in free-end saddle cases, where there isn’t much material present. In these situations, extending the footprint of the denture can prove to be beneficial. Connectors are the components of the denture that join everything up, which can be minor or major. Minor connectors join the smaller components to the saddles, while major connectors join the saddles up and complete attachment between the two halves on the arch. Connectors also help in terms of support, bracing and indirect retention. Connectors need to be hygienic, rigid and tolerable to the patient. Indirect retention prevents tipping/rotation of the denture about a fulcrum. 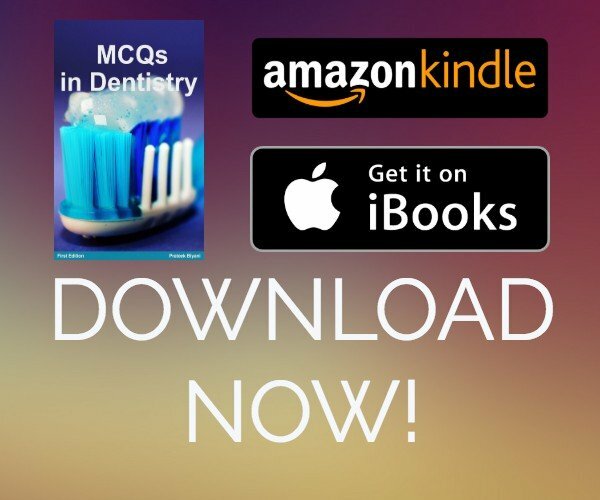 Indirect retention is most necessary in situations such as Kennedy Class I, II and IV cases, where the main components of the denture are restricted to one part of the denture. This creates an axis which the denture wants to tip over (as shown by the image below). Therefore, components need to be placed on the opposite side of this axis to stabilise it. Indirect retention can be provided by connectors, clasps and rests. The system of design is a method that is used to help design a partial denture in an ordered manner to ensure all components and features are covered. It is a simple and complete method to follow for partial denture design.